For more entries to last week’s WPC, see The Daily Post. What story do these two photos tell you? 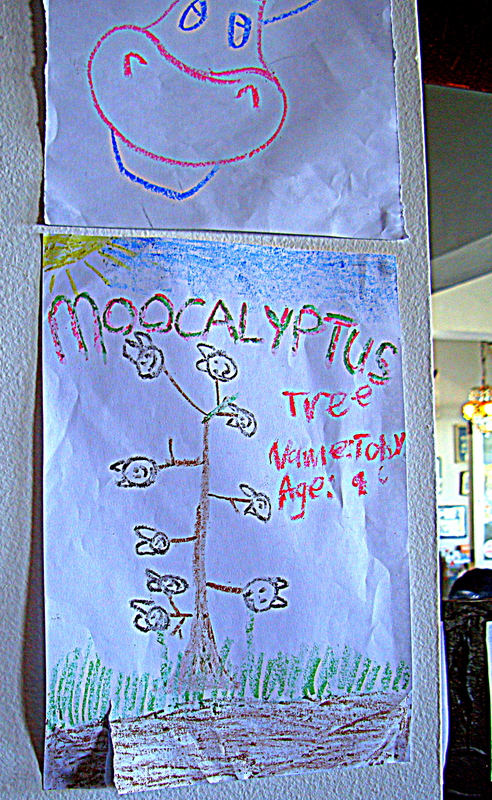 At Moo Burgers, kids are encouraged to give expression to their inner Moonet. I’d give Tony, aged 4, first prize for his moomorous, Aussie-themed moosterpiece. The world seen through the eyes of children can open ours – see Launch Pad for children’s unique insights.